By Costa Maragos Posted: November 3, 2017 6:00 a.m.
Wes Pearce, Professor in the Theatre Department, says it’s an honour to be chosen for the department’s Distinguished Alumni Award. However, his proudest moment professionally, occurred recently while working as the costume designer for the Globe Theatre’s production of Bittergirl – The Musical. Also working on that production were five of Pearce’s former students. Pearce has worked in productions with former students before “but never that many. It was great,” he says. Pearce grew up in Regina and received his Bachelor of Arts at the U of R in 1988 and his Bachelor of Fine Arts with distinction at the U of R in 1992. He moved on to the University of Calgary where he earned his Masters of Fine Arts in 1996. He returned to Regina in 1997 where he’s taught at the U of R ever since. Since returning to the University, Pearce has designed elements for many of the theatre department productions including the current production of Antigone. 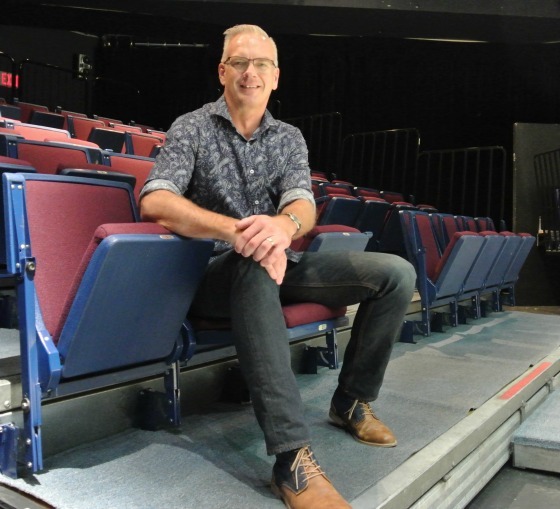 He’s also designed dozens of productions for theatres across Western Canada including the Globe Theatre, Persephone Theatre, Alberta Theatre Projects, Western Canada Theatre, and Prairie Theatre Exchange. “Like most university theatre departments, we are small. We’re like family and the department and my colleagues have been very generous in allowing me to do a lot of work outside the department, which I think is really important,” says Pearce. Pearce is active academically, regularly presenting his peer-reviewed research papers at conferences across North America. Currently, he sits on the board of the Saskatchewan Association of Theatre Professionals and has previously sat on the boards of the Canadian Association for Theatre Research, Associated Designers of Canada and Saskatchewan Drama Association. However, for Pearce, his great joy is seeing his former students succeed. The Theatre Department has been awarding its distinguished alumni award annually since 2002 when Joey Tremblay was given the honour. In 2016 the honour went to Stephen Wade. And now Pearce can add his name to the list of distinguished theatre alumni.